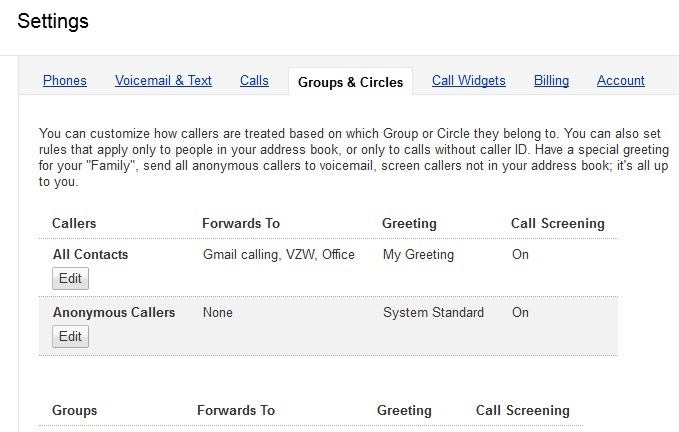 The Google Voice team announced today that they had created two new groups to help you deal with anonymous or restricted callers. The first group is your main group of contacts that you can set up and let run probably the same way you are today. The second group though, is where all of the fun happens. This would be the Anonymous Callers group. Since there are still people in this world that choose to hide their numbers when calling, you now have an option to battle them back. Through the Anonymous Callers group, you could say, set up a special voicemail that pops up after 1 ring and reads, “Yeah, your restricted number isn’t fooling anyone, broseph. Rethink your spam, Bahamas trip scam strategy and hit me up when you leave 1997.” See the power of this? Oh how I love me some Google Voice. Dear Android App Developers, Can We Quit With the Menu Button Already and Adopt an Action Overflow?